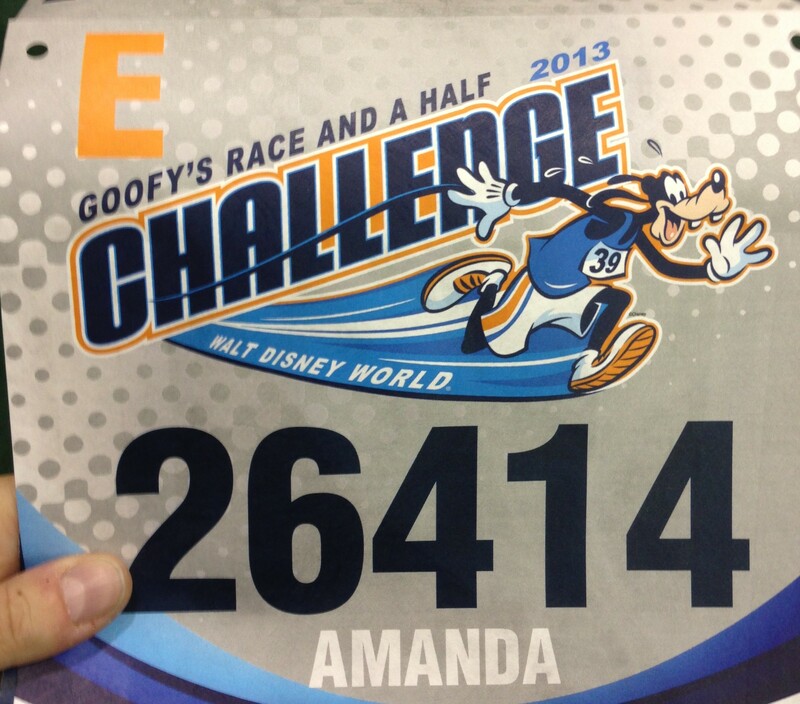 The Goofy Challenge takes a special kind of crazy to attempt. Most people are content with either the half or the full marathon. But both on consecutive days? Nuts. The preparation alone typically requires layering a half and full training plan. I used a plan adapted from Jeff Galloway that I found on the RunDisney website. That meant double long runs every other weekend. The key was to take it slow and avoid injury at all costs. And keep your fingers crossed. I had heard of the Goofy Challenge from a few friends that had run the event in previous years. They assured me that as long as I treated it as a fun event, I’d be fine. But it wasn’t going to be easy. It was hard work. And recovery time. It’s not something you do on a whim. My friends will probably try to blame me for suggesting we go. Before the weekend, I tried to deflect blame. But now that we’re on the other side, necks weighted down with bling, I’ll take that responsibility. Except for the 2am wake up call. That was not my idea. You didn’t read that wrong. 2am. We stayed at a rental condo off Disney property, which meant we needed to drive to Epcot both mornings along with thousands of others. Earlier was better. I’d rather drive, park, and wait, then risk getting stuck in traffic and feel rushed. Thanks to Jeff Galloway, I secured access to the Galloway Training Programs area for our group. A place to sit before the race, drink coffee and get some inspiration from the man himself. This was a lifesaver. We sat and watched droves of participants walked to the corrals. With 67,000 people running during the weekend between the 5k, half marathon, and marathon, I’d take all the quiet time I could get. 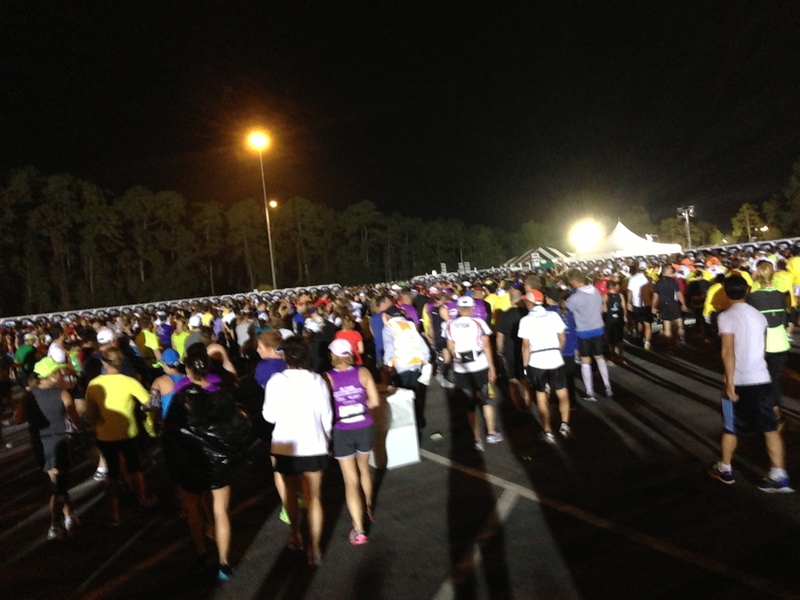 The wheelchair start was scheduled for 5:30am, and Disney starts on time. Like clockwork. Too bad we weren’t anywhere near the corral when the fireworks signaling the release of Corral A fired. The good news is half the field wasn’t either. No worries…we were ready to go by our 6:03am start. Donald Duck counted us down…and we were off. The key here is to go slow enough that you don’t burn out your legs on the first day…you’re going to need them for the marathon. There were plenty of points where I knew I should slow down, but smiles pushed me faster. I was lucky enough to have a friend running with me to hold me back. Thanks Laurie! 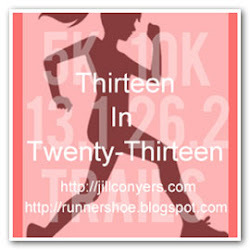 My plan was to run the 13.1mi in over 2:30. The first hour or so was prior to sunrise, but there was no problem finding our way. 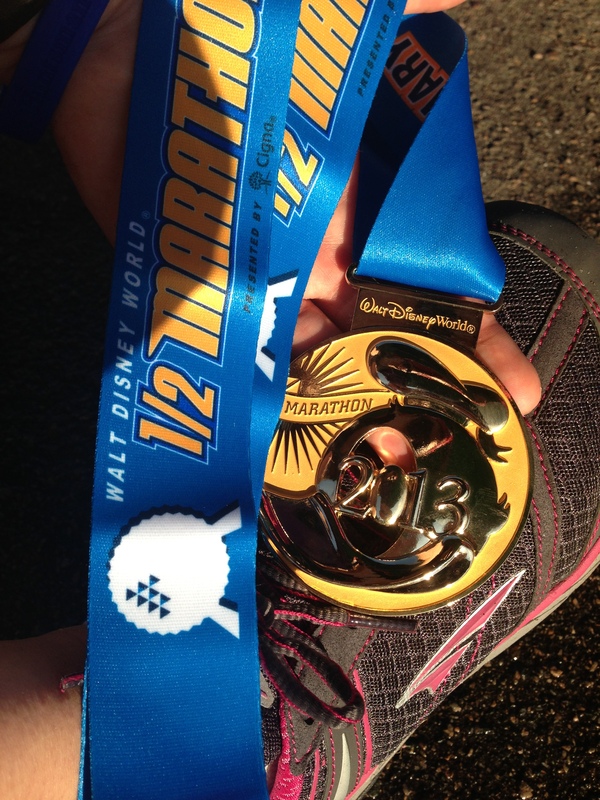 The half marathon course took us from Epcot, through the Magic Kingdom and back to Epcot. 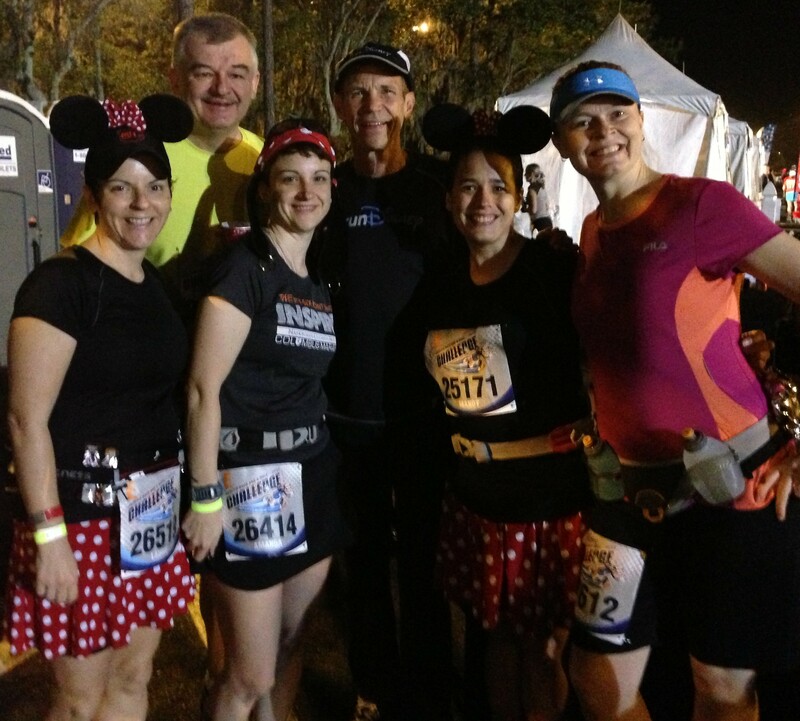 With about 35.000 half marathon participants, there was no question where the route was, and before we knew it, we were entering the Magic Kingdom. 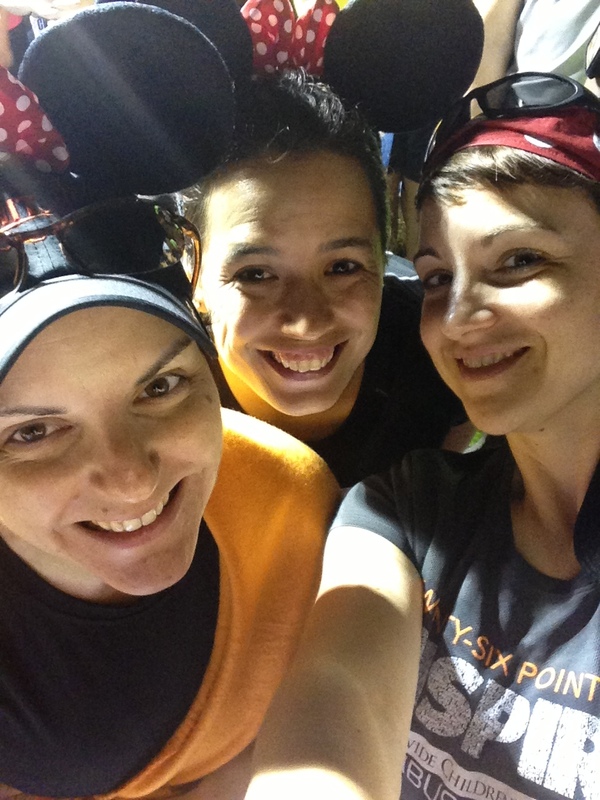 It’s been a long time since I’d been to Disney World…at least 15 years. Even if I remembered what the parks looked like then, they’ve changed so much, I wouldn’t recognize them. Not to mention we were viewing them in an entirely different way. Characters around every turn. Smiles abound. Cheering spectators. Thousands of volunteers ready to help you with any need or just thank you for running. 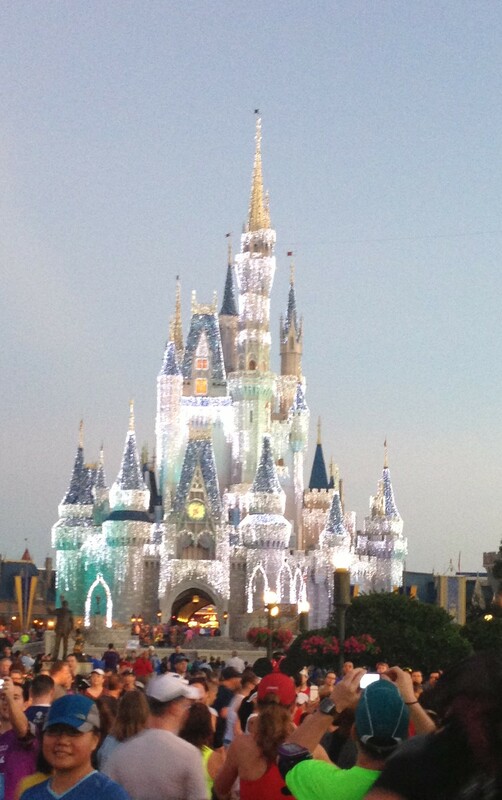 Where else are you going to get that except the place where dreams come true? As I’ve said before, I’m not a “Disney person.” I was just as happy to take candid shots of characters as we passed, but plenty of people stopped and waited in line, sometimes for a while, to get their picture taken with every character. Not my style. The experience was magical. Wearing my 2012 Columbus Marathon shirt meant Ohioans kept asking me if I was from Columbus. And there were plenty of participants in costumes. Around mile 8, we ran with Elvis, in a full leisure suit. A foursome dressed as Aladdin, Abu, Jafar, and the Genie. And lots of Minnies and princesses. Entertaining to say the least. Laurie and I finished at 2:35. And I felt great, especially after 2 bottles of water. Time to rest up for the marathon…2am is going to come quickly. 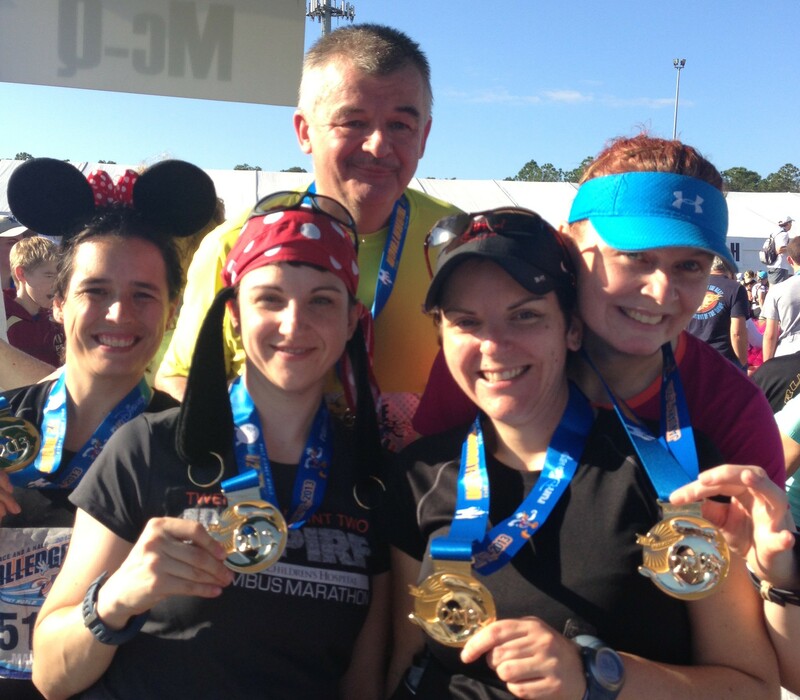 This entry was posted in Race Recap and tagged Disney, Donald, Goofy Challenge, Half Marathon, Jeff Galloway, race, Running, WDW. Bookmark the permalink.